Our standard metal bonded diamond core drill is designed for core drilling on hard materials such as glass, alumina quartz, ruby yag, silicon and other hard abrasive non-metallic ceramics. 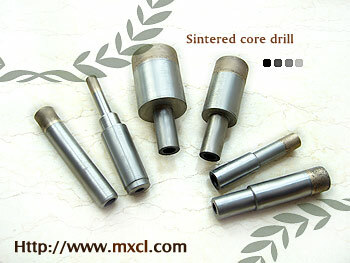 It provides longer lasting, faster drilling, and minimum heat generation performance. Many different specification and size can be customized.